The scanner is made with antimicrobial substances to keep away germs and viruses. 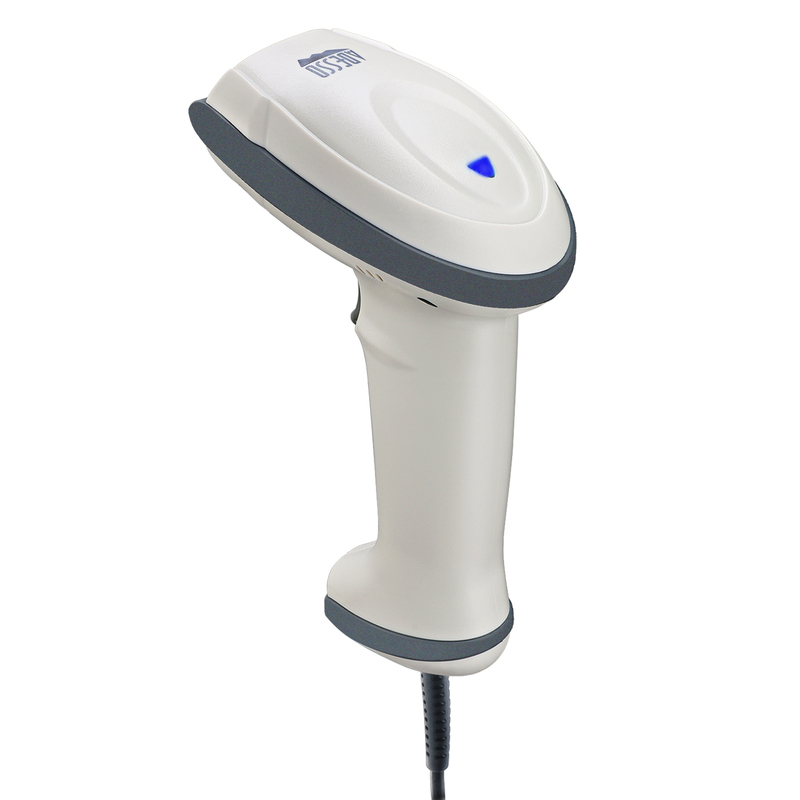 WIth regular cleaning, the scanner will undoubtedly maintain your environmental hygiene. With the scanner’s durable silicone plastic material, it makes the scanner less likely to become damaged due to accidental drops. 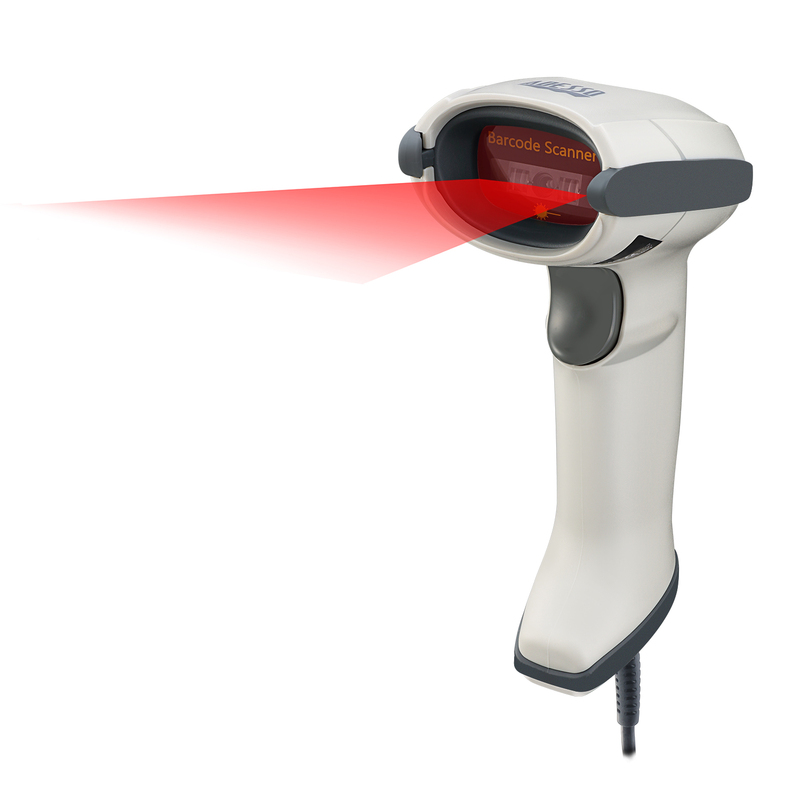 The 300 scans per second rate and innovative high pixels CCD offer fast and accurate scanning results. 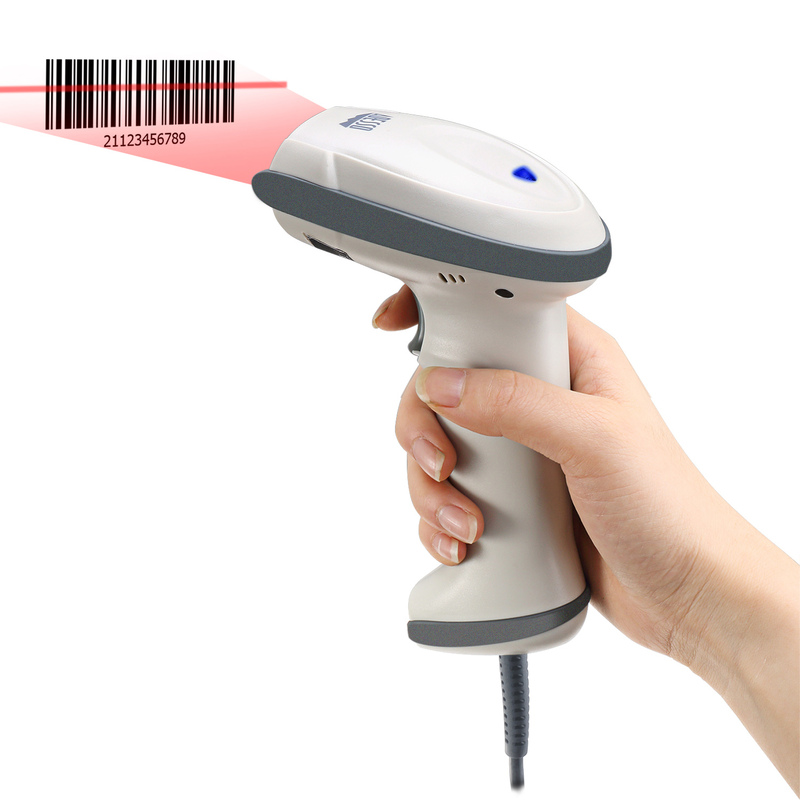 The CCD Sensor can read majority of 1D barcodes in existence, including GS1 databars. 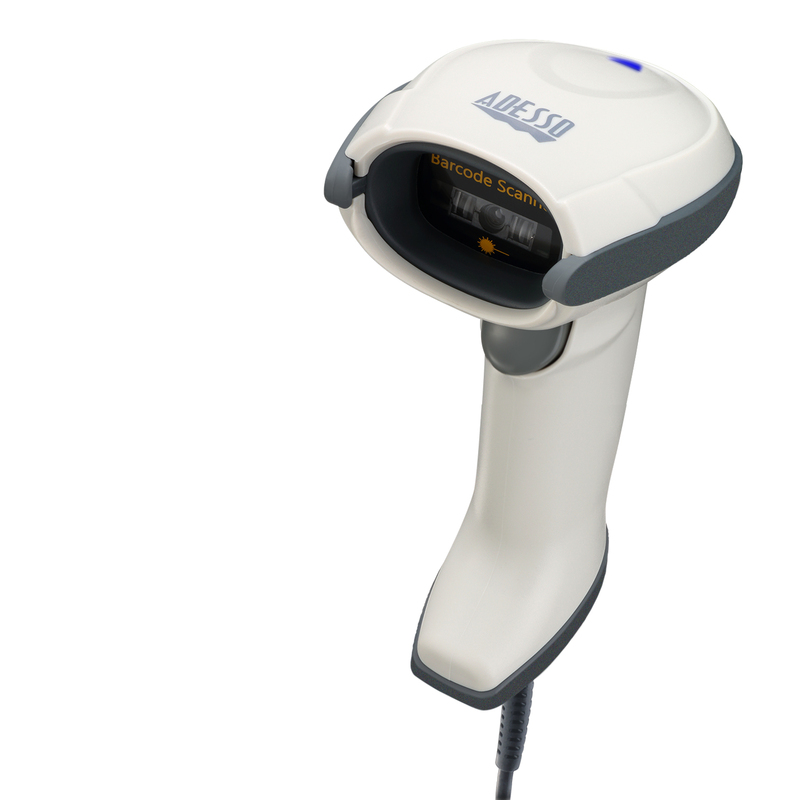 It’s also capable to scanning up to 18 inches, providing reliable data collection. 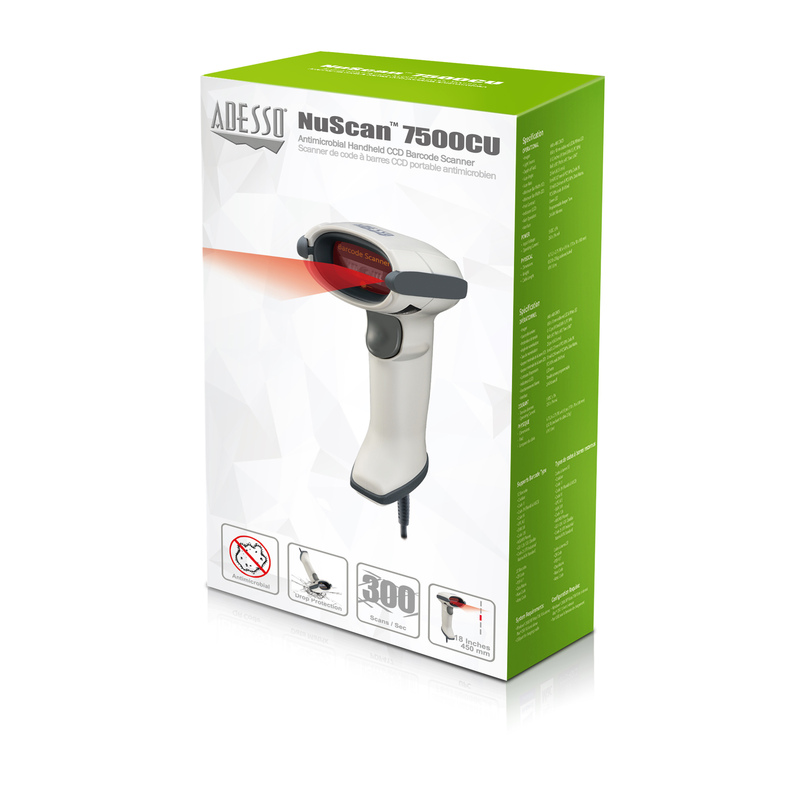 The NuScan 7500 Series is the new addition to Adesso’s Handheld CCD Barcode Scanner Family. 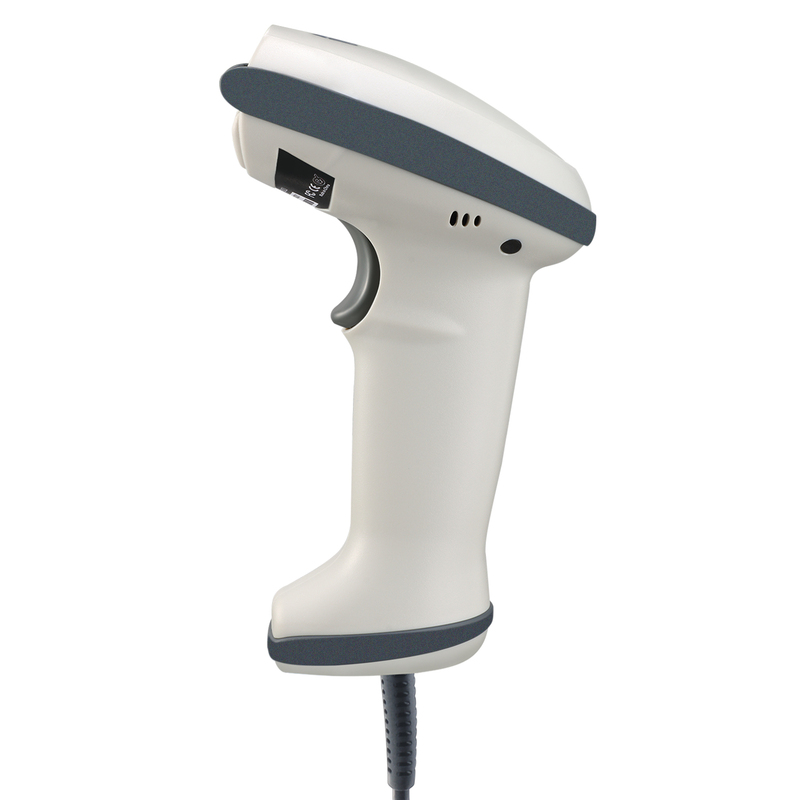 Sharing many of its predecessors’ superior qualities, NuScan 7500 Series is capable of scanning up to 300 scans per second and scanning away from up to 18 inches thanks to its 32 bit microprocessor. 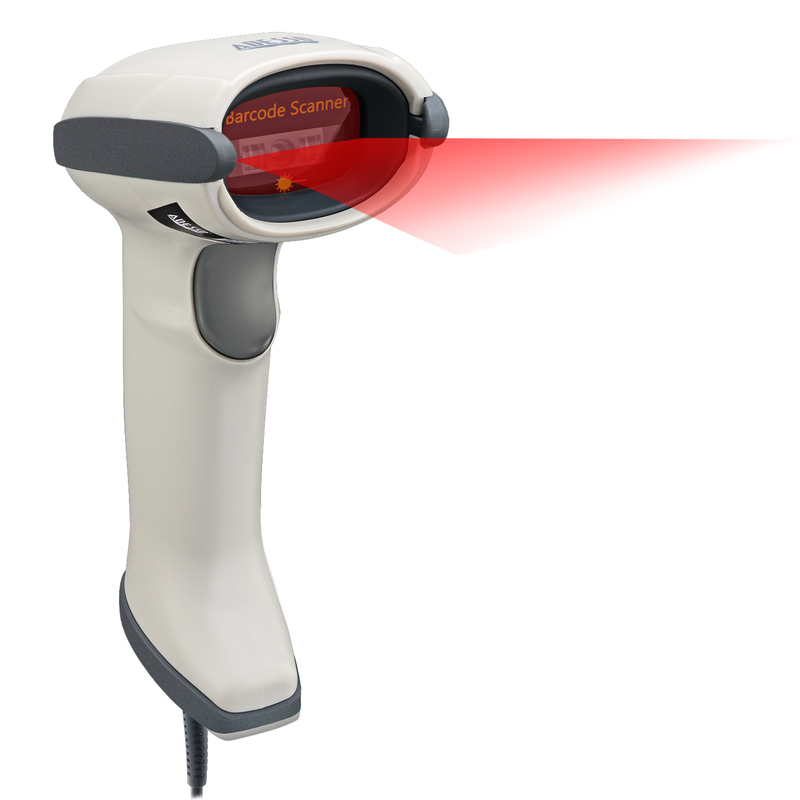 Programming different settings, editing various datas, and scanning different 1D barcode symbologies have never been easier with its built in decoder. 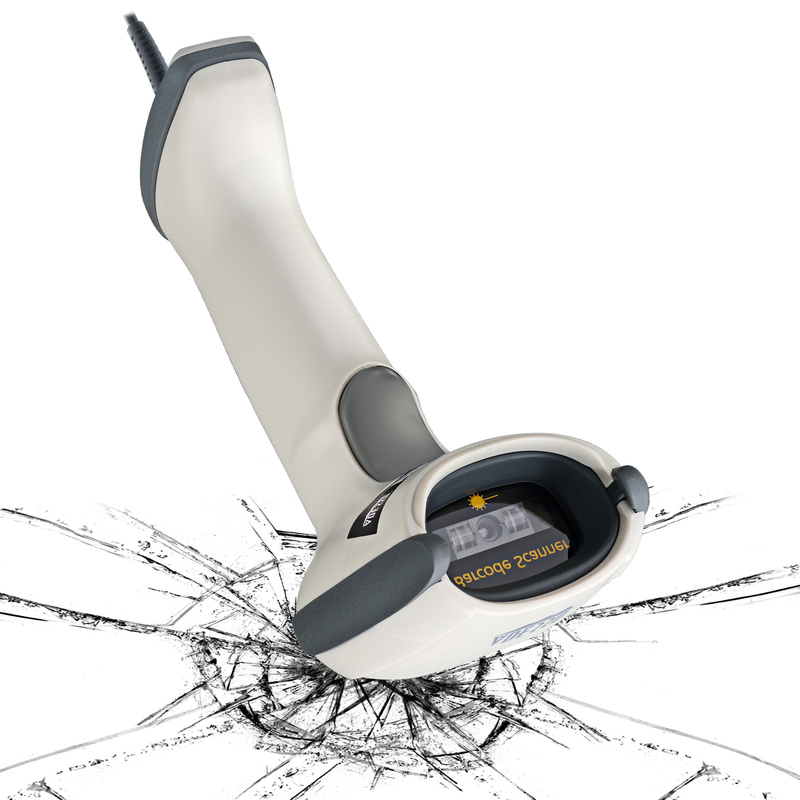 Users also don’t have to worry about breaking the scanner from accidental drops because the NuScan 7500 Series is capable of dropping from 1.5 meters. On top of these great features, it can also supports GS1 Databars (RSS Limited/Omnidirectional).